Both the defense and the prosecution are in receipt of 145 jury questionnaires where potential jury answered various questions relevant to the case. 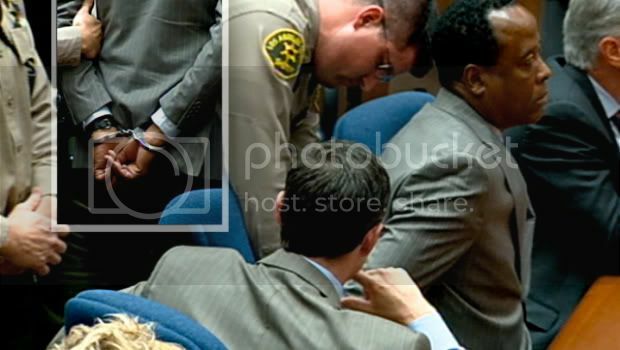 Prosecutor David Walgren stated that Applied Pharmacy owner Tim Lopez, who delivered Propofol to Conrad Murray has moved to Thailand after he testified in Preliminary Trial in January 2011. Prosecution is ready to establish due diligence. Prosecution request that Mr. Lopez’s pretrial testimony read to the court during the upcoming Trial. The People also request a ruling on Dr. Pustilnik who is a deputy medical examiner from Galveston, Texas. In April 2011, Dr. Pustilnik took a tour of LA County Coroner’s office and wrote a report about his observations. The Prosecution feels that the report is irrelevant to the case, cause of death, toxicology, coroner’s findings etc defense team declared that that Dr. Pustilnik has no additional commentary if he is called to testify live. Prosecution request Dr. Pustilnik’s report ruled inadmissible. Premptory Strike can be used for virtually any reason at all. One of the lawyers may not like a potential juror’s level of enthusiasm or hair, eye color, fashion sense, etc. As long as a Peremptory Strike is not based on race, religion, or gender, etc. the striking attorney can use it however they see fit; removing people that he/she feels aren’t going to be helpful to his side of the case. The striking attorney is NOT required to explain why a certain person was struck. Each attorney may exercise a limited number of “preemptory strikes” for no reason. I presume that the judge will decide on a number on Wednesday. Strike for Cause can be made when an attorney feels that there is some aspect of the law that a potential juror cannot or will not follow. For instance, a potential juror who states that they will hold it against the Defendant if he doesn’t testify will be struck for Cause based on his inability to honor the 5th Amendment right against self-incrimination. The questions that will be asked to potential jurors are tailored to the case being tried. 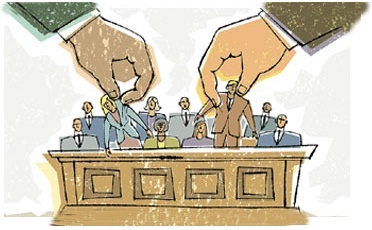 The idea is to empanel an impartial jury, following the law while deciding on the case. At the end of voir dire process, 18 jurors who are accepted by both the prosecution and the defense will be sworn in as the jury to hear and decide on the Conrad Murray Trial.